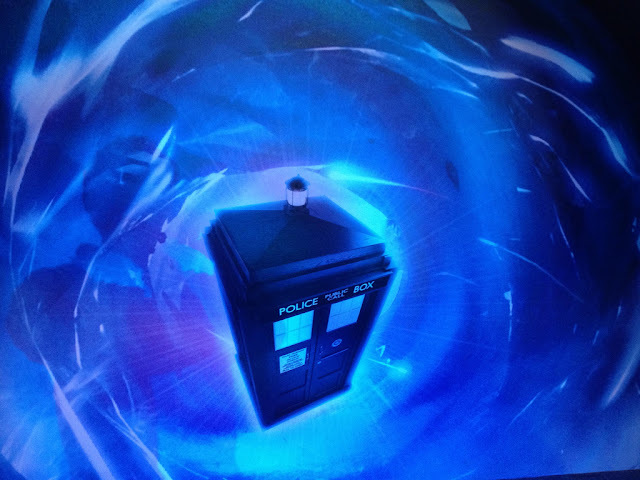 We’ve known this for some time but the fiery vapours swirling around Peter Capaldi’s hands during the recent season finale put paid to any lingering doubts. On Christmas Day, both Capaldi (the Doctor since 2014) and Steven Moffat (showrunner since 2010) will leave the TARDIS. Not everyone will be sorry to see them go. In the case of Moffat, a sizeable minority of the Doctor Who fandom has been agitating for him to depart for years and, if some reports are to be believed, the BBC is also impatient for his handover to Broadchurch-creator Chris Chibnall. For what it’s worth, I wish Capaldi had stayed on for a year or two longer: he just gets better with every outing. Moffat, on the other hand, has probably called it right: it is time to depart. But those who are so eager to bundle him out of the door have significantly undervalued his achievements. No, really, he does. Starting with Nancy, the teenaged leader of a gang of Blitz kids in The Empty Child/The Doctor Dances (2005), Moffat has written a succession of intriguing female characters, from Madame de Pompadour to River Song. It’s true, his judgement has been dismal at times (that kiss-a-gram joke in 2010’s The Eleventh Hour!) and there’s been a tendency to create women who seem to exist only to save the Doctor. But he does seem to have listened to criticism, even if he hasn’t always understood it. Clara Oswald deepened considerably as a character in her final season. Moffat’s transformation of the Master into Missy has been an audacious delight and Bill Potts is surely up there with the best Doctor Who companions ever. Credit goes to Michelle Gomez and Pearl Mackie for their astonishing portrayals of these characters, but it must surely go to Moffat as well. He also gave us its first pan-sexual character, Captain Jack Harkness, and Bill Potts, its first subtly, proudly, believably gay companion. Doctor Who has never been at its best when at its ‘easiest’ and it has always respected the intelligence of its viewers, young and old. Experimentation and cleverness are part of the deal, as are failed experiments and cleverness that goes too far. If you don’t believe me, go and watch The Mind Robber (1968) or Warriors’ Gate (1981). And then treat yourself to some fish fingers and custard. And Doctor Who has always been about monsters, hasn’t it? Russell T. Davies, for all his brilliance, was responsible for the farting Slitheen and the horribly cutesy Adipose. 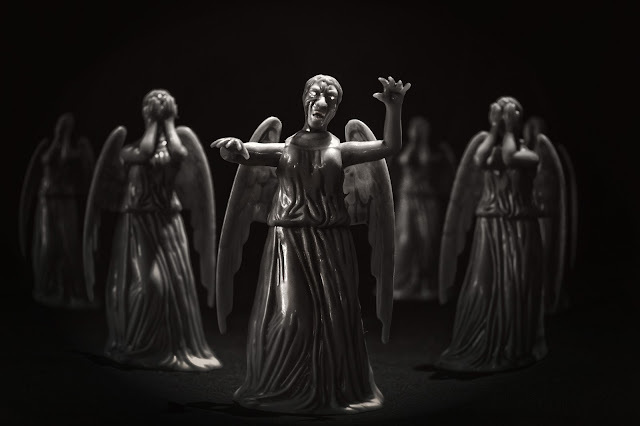 Moffat’s mind spawned the Weeping Angels and the Silents. In bringing back classic monsters, Moffat has balanced respect with risk. Fair enough, the big, bright, gravelly-voiced ‘new paradigm’ Daleks didn’t work out and I’m not convinced by the flying, Tony Stark-style Cybermen but the Silurians, the Zygons and the Ice Warriors have all been lovingly and successfully updated. As a parting gift to Capaldi, he even revived the Mondasian Cybermen in all their unsettling, Heath Robinson glory. His dialogue has wit, his ‘catchphrases’ really catch (‘Are you my mummy?’) and he’s written some of the most powerful monologues in television history. The anti-war speech at the end of 2015’s The Zygon Inversion should be a set text in schools. So should the ‘just kind’ speech from The Doctor Falls (2017). In the age of Trump, Putin, Assad, Kim Jong-un and Islamic State, the world needs words like these. He ‘gets’ Doctor Who because - like Davies, Tennant, Capaldi and many others involved in the rebooted series - he was, is, and will always be a fan. His fan instincts have infused every second of his time in charge of the show that he’s been accused, by some, of ruining. As Dr Who scholar Matt Hills has written, ‘being a fan means being disappointed by the object of fandom as much as it means appreciating it’. In 2018, Moffat will rediscover this. I hope he enjoys the experience.